Glencore Newlands Mine and ADDCAR recently signed a 5 year highwall mining contract that signals the arrival of highwall mining to ADDCAR. 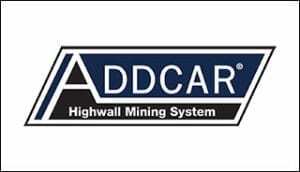 In February 2014 ADDCAR Mining Solutions acquired ADDCAR Systems LLC, a specialist provider of highwall mining technology and services. The purchase delivers opportunities for ADDCAR to offer new and existing customers in Australia, the US and internationally, the suite of ADDCAR services including our new highwall mining business.